The publisher of the Power Bible, Green Egg Media, is pleased to present a Power Bible give-a-way. Enter a chance to win your very own copy of a Bible based graphic novel that was designed to educate, encourage, and inspire young hearts and minds. The 10 volume graphic novel series chronicles Creation through Revelation and offers young readers a comprehensive overview of the Bible. 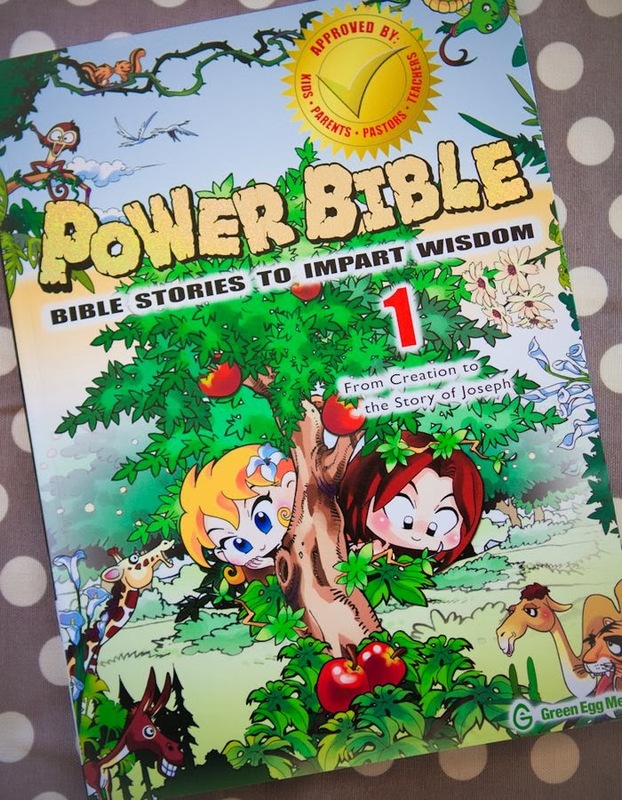 Due to the fun and easy-to-understand nature of the Power Bible, kids will be able to familiarize themselves with the stories and the characters of the Bible by simply reading through it. Whenever there is downtime at home, school, or church, encourage your kids to get into God’s Word by having the Power Bible series as a resource. Additionally, having the Power Bibles in ministry libraries or book shelves will give kids an easy access to learn Bible stories! Every story in the Power Bible has been fact checked and researched to make sure it is faithful to the truths of the Bible. As with any pictorial Bible Storybook there are artistic interpretations, so if questions arise, we encourage you to view them as opportunities to engage your children and read the Bible together. Since its release, the Power Bible has become a great learning resource for children who are interested in Christianity and the Bible. We have garnered many favorable reviews and responses from Parents, Pastors, Teachers, Christian schools and churches from all across the United States. I’m a big fan of the Power Bible. 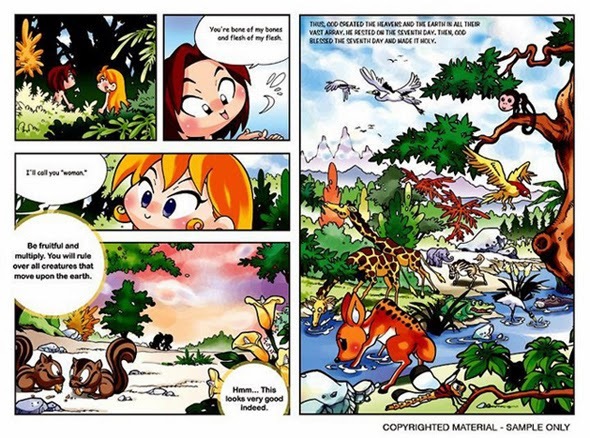 Not only are the art graphics done well, the story line throughout is throughly Biblical and true to the scriptural text. Reading the Power Bible is like reading though the scriptures in a comic-type setting. I highly recommend the Power Bible due to their faithfulness to the Word and their entertaining spin on reading the Bible. To enter the give-a-way, complete one or more options below. Three winners will be chosen on January 24th. The winner will be contacted via email and given a choice between Power Bible Book 7, 8 or 9.